This class is for students who would like to customize and advance their learning of Italian. Please contact Peggy at info@theitalianculturalcenter.org to schedule a semi-private lesson. All adult students must hold active ICC memberships. Before proceeding to Upper Intermediate 1, students who have completed Intermediate 3 have the opportunity to go over grammatical structures covered in previous levels in order to become more confident in their speaking and writing skills. They will refine their ability to describe events in the past and express their opinions while using different tenses and structures. Students will work on short Italian literary texts as a springboard for a thorough and a more in depth review of previous materials. Please contact the school if you have not taken any other classes at the ICC before enrolling. An instructor will assess your level. Leggiamo e parliamo! Are you interested in improving your reading and conversational skills in Italian? This class will welcome ICC members who are intermediate speakers of Italian. Our first meeting will take place on Wednesday April 3 from 5:30 p.m. until 7:30 p.m. This is an 8 week course. We will read and discuss Italian literature putting into use our reading and speaking skills through the guidance of an ICC Italian native instructor. A trumpet player of a transatlantic ship in the 1930s tells the story of Novecento, an orphan found abandoned on the ship and raised by an engineer and the crew. As an adult, Novecento plays the piano with an extraordinary talent and becomes the pianist of the orchestra, although he never took lessons. 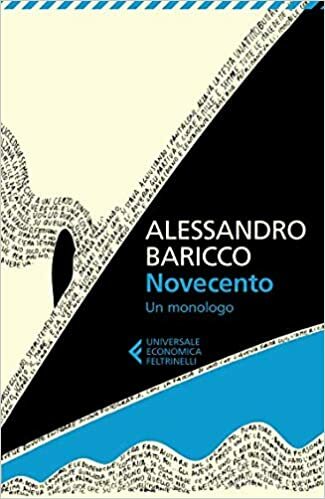 The story is about Novecento’s exceptional ability in playing jazz and his life as a man who has never been anywhere else except for the ship. Adults and students who wish to spend a period of time in Italy, either for tourism, cultural interest or study abroad, will benefit from a fast paced, communicative approach to the Italian language. This 6 week course, intended for BEGINNER students, will allow for simple but effective communication in everyday life situations such as greetings, getting to know each other, finding out about transportation, asking for directions, reserving a room or an apartment, shopping at a coffee shop or a restaurant. This course aims at reaching these abilities through simple dialogues, comprehension activities and a rich and illustrated vocabulary, all while discovering the rules of everyday life in Italy. Tuition is $190, and all students must hold active ICC memberships. It's back! APERITIVO & CARTE. THE ITALIAN WAY. 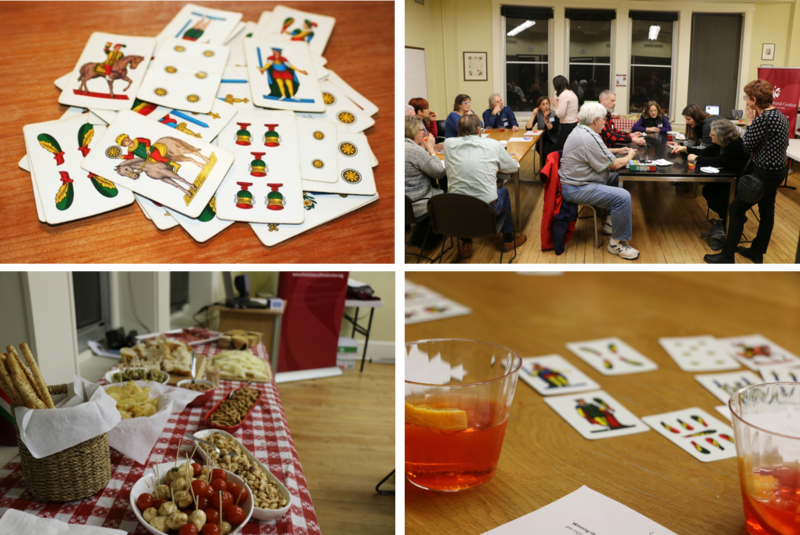 Join us on Thursday, April 25th, from 6:30 pm to 8:30 pm, for a great evening of fun playing a traditional Italian card game while enjoying an authentic aperitivo Italian style. Luisa and Ileana will guide you while you play scopone scientifico (NO PREVIOUS EXPERIENCE NEEDED). Scopone scientifico is a variant of the popular scopa, a card game (gioco di carte) that every true Italian must master. And this goes along with an Italian aperitivo, perfect to chill on a Thursday evening. The card games scopa and scopone scientifico are a big fundament of the Italian culture. Grandparents teach them to their grandchildren at an early age, and Luisa and Ileana themselves grew up playing this game in Italy with their grandparents! This event is open to all ICC members and non-members. Any level of Italian proficiency - the game and the rules will be explained in English by Luisa & Ileana -. NO PREVIOUS EXPERIENCE NEEDED in the game of Scopone, and if you are a PRO come and show off your skills. It’s a simple yet fun and interesting game played in pairs but if you are a single player, we will pair you with another one. Once you have signed up the rules of the game will be emailed to you. Per chiunque abbia voglia di trascorrere una serata divertente e giocare al tradizionale Scopone scientifico, il tutto accompagnato da un aperitivo italiano. Il torneo è aperto a tutti i soci dell’ICC e ai non soci. Il gioco e le regole saranno spiegate in inglese. Non è richiesta alcuna conoscenza del gioco; se sei un campione, è l’occasione per mostrare la tua bravura. Lo scopone è un gioco a coppie semplice, divertente ed interessante. Se non hai un partner, te ne verrà assegnato uno la sera stessa. Bring your friends and register now! Contact events@theitalianculturalcenter.org, with your questions. Buongiorno! 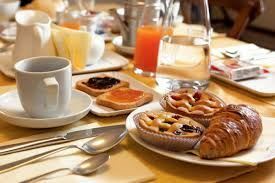 The Colazione all'Italiana casual conversation group will be held on a regular basis. You may now enroll in the next session, scheduled for Saturday, May 18. On Saturday, May 18, from 9:30 until 11:00 a.m., an ICC Italian native instructor will lead a small group in a casual conversation format. Participants will enjoy traditional Italian coffee, Italian breakfast staples – pane, burro e marmellata – along with some dolcetti. This is intended to be a very informal class aimed at Italian students of all proficiency levels. This class will offer the opportunity to practice the Italian phrases you know, learn new ones and improve your comprehension skills – all in a laid back atmosphere. Space is limited and will fill quickly - Register now! Contact Peggy, at info@theitalianculturalcenter.org with your questions. WHEN: Saturday, May 18, 9:30 until 11:00 a.m. The Tarallucci e Vino, one hour and a half casual conversation sessions, will be offered on a regular basis. The upcoming workshop is scheduled for May 30. Please join us on the evening of Thursday, May 30, from 6 until 7:30 p.m., for an enjoyable casual conversation event! An ICC native Italian instructor will lead a small group in a casual conversation format. Participants will enjoy traditional Italian tarallucci, cheese and a glass of wine. This is intended to be a very informal class aimed at Italian students of all proficiency levels. This class will offer the opportunity to practice the Italian phrases you know, learn new ones and improve your comprehension skills – all in a relaxed atmosphere. Space is limited and will fill quickly - Register now! WHEN: Thursday, May 30, from 6 until 7:30 p.m.
All activities and events must be cancelled a minimum of 72 hours in advance to receive a refund less administrative fee. In September 2019, the ICC will take a small group to the Marche region of central Italy. Located in the idyllic hill-top town of Recanati, L'infinito Campus school has curated an exciting program of Italian language classes, cultural sites, culinary discoveries and fun experiences that will take us across this lesser known and genuine region. Our program includes Urbino – home of Renaissance painter Raffaello and UNESCO World Heritage site; Ascoli Piceno – founded by the Piceni, an ancient Italic population who predate the Romans; Fabriano - a medieval town in the Apennines renowned for its hand-made watermark paper which began in the 13th century; Ancona – the capital of the region founded by the Greeks in 387 BC due to its strategic position on the Adriatic Sea. Don't miss an exceptional educational travel adventure! Experience Le Marche with us, from August 31 through September 15, 2019. If you wish to join us, a non-refundable deposit of $250 per person is required. You can remit your payment via this Paypal link. Act NOW! Once the program reaches 12 participants, registrations will close. Please contact Sandra at sgengler44@gmail.com for complete program details and cost information. NOTE: All participants must hold an active ICC membership. Don't forget to visit our Educational Travel pages to read blogs of past trips, and to learn more about our educational travel experiences. We are pleased to announce that, in 2019, the ICC's educational travels will take us to Friuli-Venezia Giulia, a northeastern Italian region bordering Austria, Slovenia and the Adriatic Sea! It is home to the sharp-peaked Dolomite Mountains and vineyards producing white wine. Trieste, the capital, was once part of the Austro-Hungarian Empire. Its famous sites include the old quarter, the waterfront Piazza dell'Unita d'Italia and Castello di Miramare, a former royal residence. A full, exciting itinerary of Italian language classes, cooking lessons, activities, and a variety of excursions, (including the Istrian Peninsula), has been planned. Don't miss an exceptional educational travel adventure! Experience Friuli-Venezia Giulia with us, from September 21st through October 5th, and uncover an extraordinary region of Italy...and the amazingly beautiful and historic city of Trieste! Don't forget to visit our Educational Travel pages to read blogs of past trips, and to learn more about our educational travel experiences. . A non-refundable deposit of $250 per person/per trip is required. You can remit your payment via this Paypal link. These are very popular adventures which will sell out quickly. Be sure to act NOW! Please contact Peggy at info@theitalianculturalcenter.org for more information. The ICC is pleased to announce our new collaboration with the Lucca Italian School, located in Lucca, Italy! In the fall of 2016, a group of ICC members ventured to Lucca, Italy, for a two week program of study at the Lucca Italian School. It was an amazing experience, and we are now able to offer a special arrangement for those of you who wish to travel on your own and study at the school. In addition, the ICC will pass your contact information on to the administration at the Lucca school. When you have confirmed a course of study with them, they will offer you a 10% discount towards the cost of your program. For additional information in regards to the Lucca Italian School, please follow this link. Be sure to read the Lucca Adventure 2016 Blog entries, under Educational Travel, on the ICC website, and contact Peggy at info@theitalianculturalcenter.org with your questions. To participate in the special opportunity, please select which of the three opportunities you wish to receive, and process your payment of $75 here. SPECIAL OFFER! INDIVIDUAL EDUCATIONAL STUDY - Solemar Academy, Cefalu, Sicily! The ICC is pleased to announce our new collaboration with Solemar Academy in Cefalu, Sicily! In the fall of 2017, a group of ICC members ventured to Cefalu, Sicily, for a two week program of study at Solemar Academy. It was an amazing experience, and we are now able to offer a special arrangement for those of you who wish to travel on your own and study at the school. In addition, the ICC will pass your contact information on to the administration at the Cefalu school. When you have confirmed a course of study with them, they will offer you a 10% discount towards the cost of your program. For additional information in regards to Solemar Academy, please follow this link. Be sure to read the Cefalu Adventure 2017 Blog , under Educational Travel, on the ICC website, and contact Peggy at info@theitalianculturalcenter.org with your questions. 19 Dec 2017 WAITLIST! EF17 Tombola, Panettone & Pandoro. An Italian Holiday Tradition. 07 Dec 2017 EF17 Aperitivo & Cards. Last chance to learn how to play Scopone Scientifico with Luisa & Ileana! 14 Sep 2017 EF17 Aperitivo and cards. Last session before the GRAN TORNEO! Don't miss it! 07 Sep 2017 EN17 Author Visit - MUSIC ADDED! Olivia Kate Cerrone: Sicilian History Comes To Life! 27 Apr 2017 ES17 IT'S TONIGHT, join us! Aperitivo and cards. The Italian way. 26 Jan 2017 Only 1 spot left! EW17 Aperitivo and cards. The Italian way. 06 Jan 2016 EW16 Winter Open House - Travelogue: Study Italian in Lucca, Fall 2016! 03 Sep 2014 FS14 Open House- Wednesday, September 3, 5:30-7 p.m.
10 May 2014 EN14 Make and Take --- Ravioli di ricotta e spinaci-NEW LOCATION! 01 Apr 2014 ES14 Open House- Tuesday, April 1, 5:30-7 p.m.
25 Jan 2014 EW14 Make and Take --- Tortelloni! 07 Dec 2013 EN13 Make and Take --- Tortellini! 11 Nov 2013 ENF13 Young Professionals----Meet and Greet! 21 Oct 2013 ENF13 Meet New Italian American Author, Deborah Stevens...Book Signing and Wine Giveaway! 25 May 2013 EU13 Make and Take --- Tortelloni! 03 Apr 2013 ES13 Spring Term OPEN HOUSE - Film Festival Tickets on Sale! 07 Mar 2013 EW13 Dario Fo: EVENT RESCHEDULED!! 05 Jan 2013 Make and Take --- Tortellini!